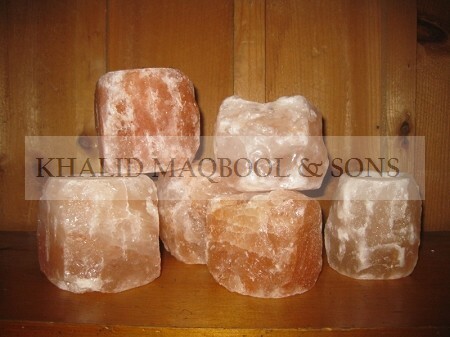 Our Popular Himalayan salt tea lights will bring an attractive texture to any space. They also act as natural air cleansers when warmed by your tea light. Himalayan Natural Rock Salt Tea Lights are not only beautiful and hand crafted pieces that have an elegant shape and are health beneficial which are from the Himalayas. The warmth and natural beauty of the glow provided by these tea lights makes them a wonderful accent for any room, as well as an outstanding and much appreciated gift for friends and loved ones. They provide a natural ambiance that enhances home and office. 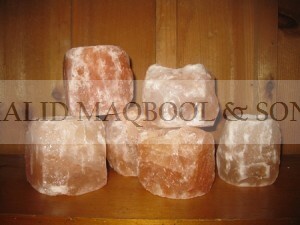 They emit negative ions, which help improve natural sense of good feelings and enhance energy. Today’s high-tech lifestyle has resulted in a growing electromagnetic field in indoor air, which has been shown to cause mental, emotional and physical health risks. This Himalayan salt crystal tea light is designed to hold a small tea candle. As the tea candle warms the salt candle holder, the Himalayan salt draws moisture from the air and then emits ions that bind with harmful particles of the electric indoor smog to neutralize the air. The process also cleans the air of unseen toxins and other impurities. As it neutralizes and purifies the air, your family’s respiratory health and well-being is restored, moodiness evaporates, and feelings of anxiety and despair are greatly reduced. Indoor air is refreshed, like the air just after a spring thunder shower. These decorative tea-lights can be used in living and working spaces to improve room air quality, which is decisive for your well-being. The tea-lights DE-ionize and neutralize positively charged ions in the air thereby creating a comfortable atmosphere in the room. They also generate a very pleasant, soothing light. Ideal for the living room, office, studio, therapy room and everywhere! Research proves that heated salt crystal tea lights are natural ion generators. They bind the negative ions with excess positive ions ( that are produced by electrical appliances and computers). When the tea light become warm, they absorb moisture and the surface crystals become damp. This builds up the ion field. What is the effect of this reaction? The ambient air surrounding the salt tea light is cleaned by the transformation cycle of hydrogen and oxygen, as well as sodium and chloride ions. The resulting purified air is helpful in the relief of asthma symptoms and upper respiratory problems. There’s something so primitive yet so elegant about putting a tea light in a hunk of salt. We love the way they glow and the way they make us feel just being around them. These fair trade tea light holders are all hand made and each one is unique.